The cookbooks in my cabinet don’t get the attention they deserve. I know that families, communities, chefs, and foodies have spent hours upon hours compiling the best recipes to include in cookbooks. But, I’ll be honest, many of my meals come from what my husband and I learned from our parents, what we’re comfortable making, recipes I blogged about on BeefBites.org, or the all-powerful PINTEREST. Pinterest has become my go-to cookbook. Why? Because it speaks through pictures first, because I spend much of my time in front of a computer, iPad, or iPhone, and because I can search by the foods I already have in my kitchen or am craving. Anyway… I’ve embarked on a fun little challenge to feature an amazing beef recipe from every cookbook in my cabinet. I’m so excited!! Some recipes will come from well-known cookbooks published by the thousands (or more), and some will come from family and local community cookbooks. Many of these cookbooks were given to Matt and me as bridal shower or wedding gifts, so I feel like I’m really saying thank you by utilzing those gifts. And we get to eat beef. Win-win for everyone! 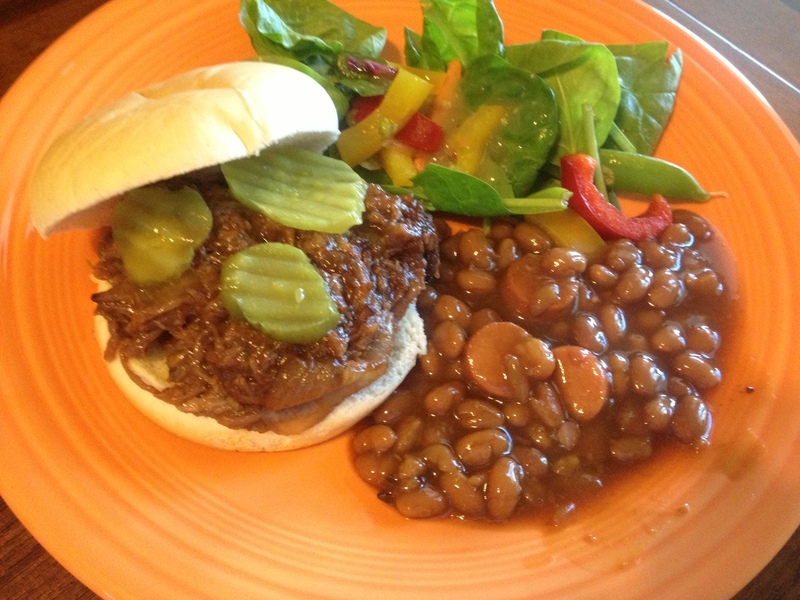 For my first recipe, I’m featuring the boneless chuck roast. First because it’s a lean cut of beef, and second because it’s been neglected and we’re nearing the end of our freezer full of beef. 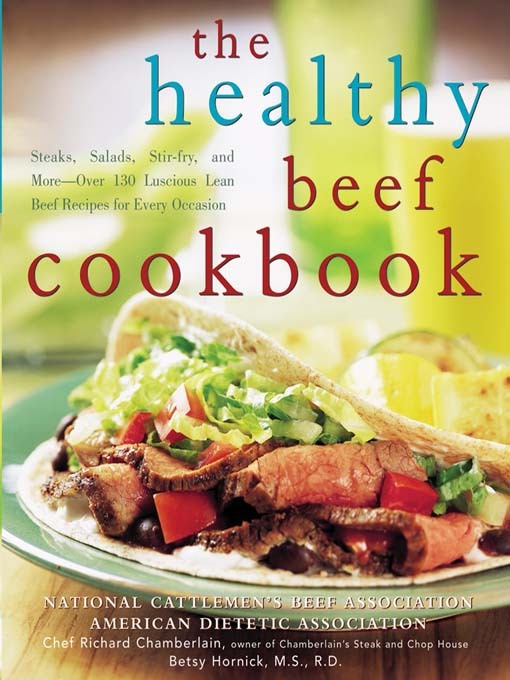 This recipe comes from the Healthy Beef Cookbook, published by the National Cattlemen’s Beef Association, American Dietetic Association, and Chef Richard Chamberlain. It’s an amazing cookbook and you can buy it on Amazon.com. 2. Remove beef; cool slightly. Strain cooking liquid; skim fat. Shred beef with two forks. 3. Place beef in 2-quart microwave-safe dish. Stir in barbecue sauce and 1/2 cup cooking liquid. Cover and microwave on HIGH 6 to 8 minutes or until head through, stirring once. Serve in rolls. More recipes coming soon, so stay tuned!